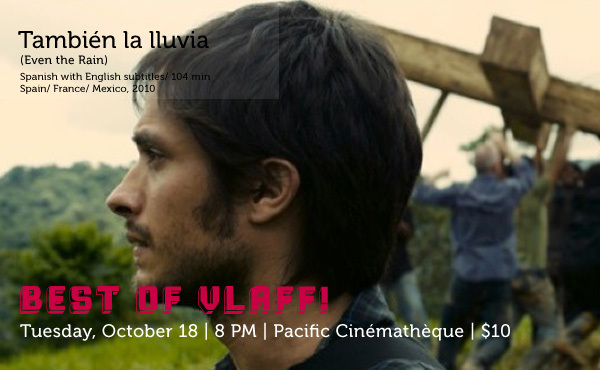 This powerful film, starting Gael Garcia Bernal (The Motorcycle Diaries, Letters to Juliet) takes place in Cochabamba, Bolivia, where people are being denied even the most common human rights. Tickets are $10 and are available in advance at www.vlaff.org or at the Pacific Cinémathèque box office on evening of the screening. A 2011 VLAFF Membership is required for entry to the film. Memberships are $2 and will be available at the box office.